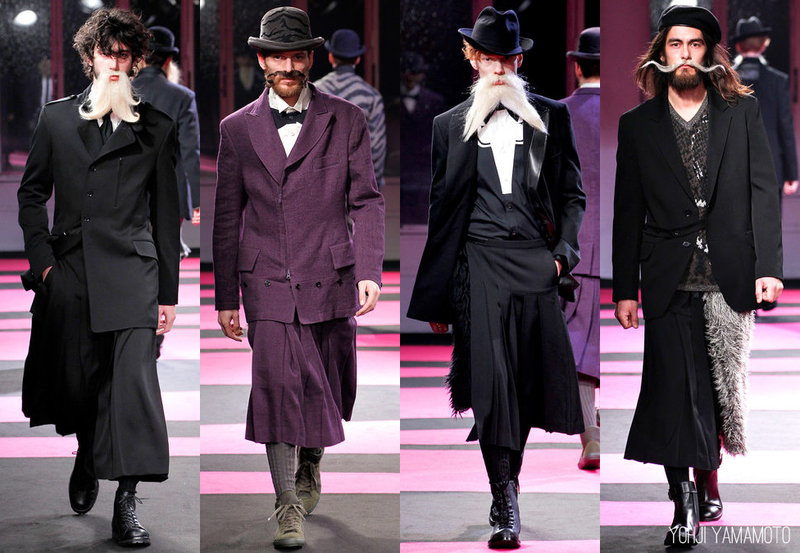 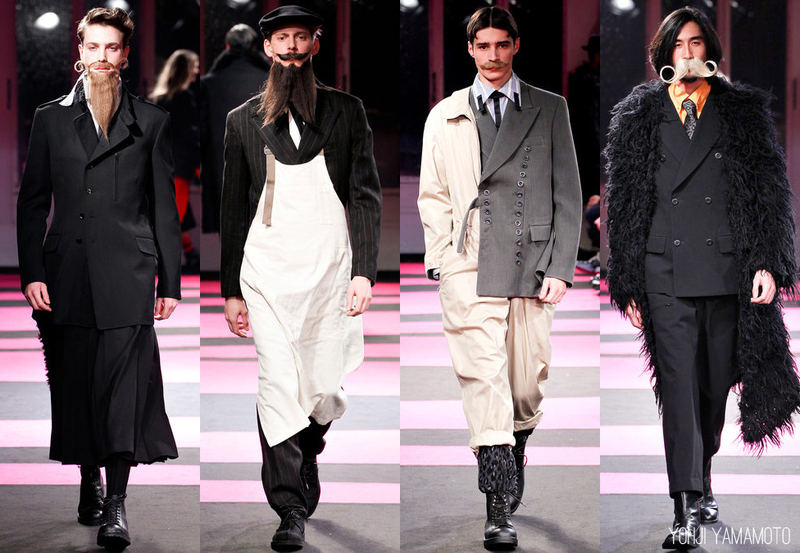 The styling for Yohji Yamamoto’s menswear for this fall was a stylist’s stroke of genius. 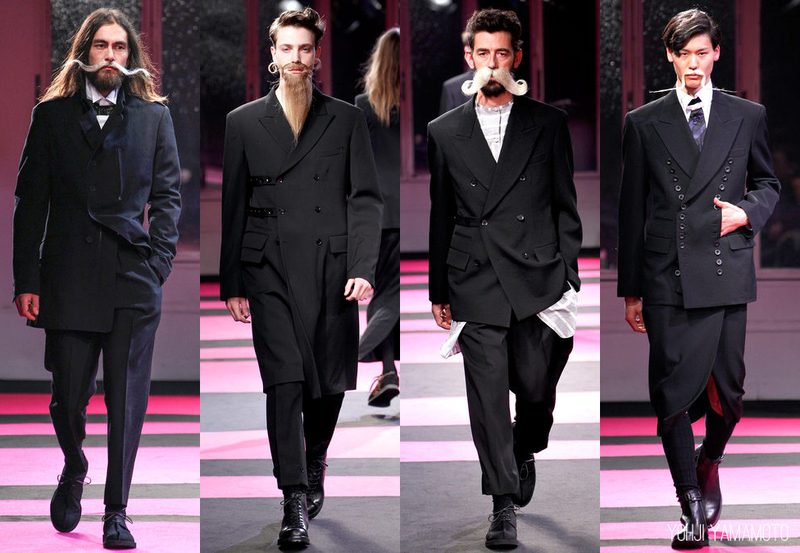 Designing beards, moustaches, and facial hair that might be seen in a whisker competition made for a dapper counterpoint to the clothing. 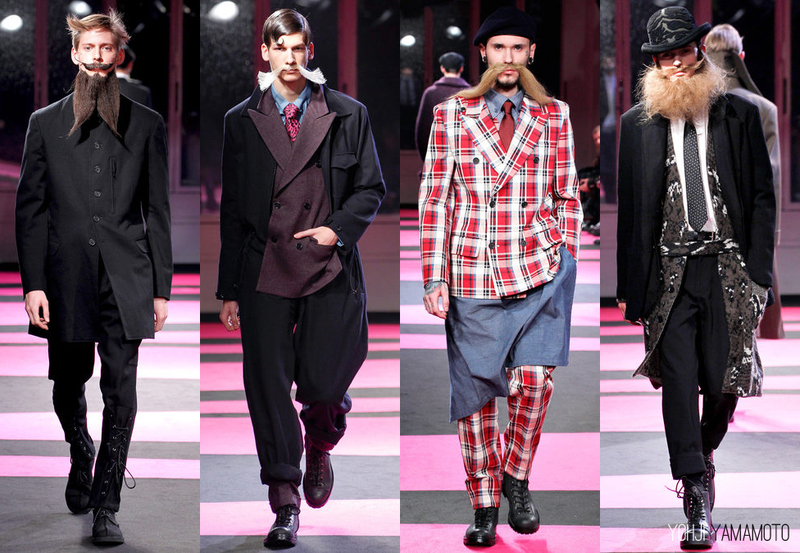 The hyper-masculine styling on these models balanced the skirted looks and offered something that men can relate to.